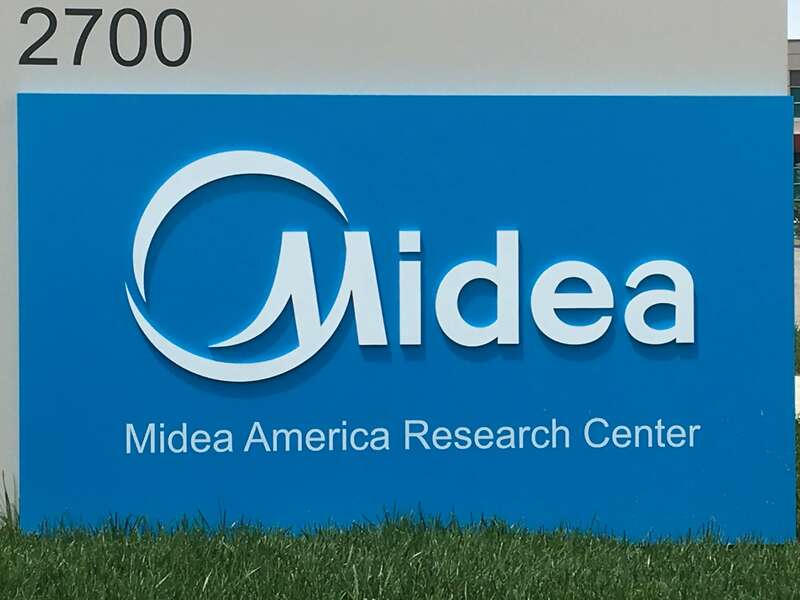 Midea America Corporation is a division of Midea, the world’s leading manufacturer of air conditioners and one of the world’s largest appliance makers. 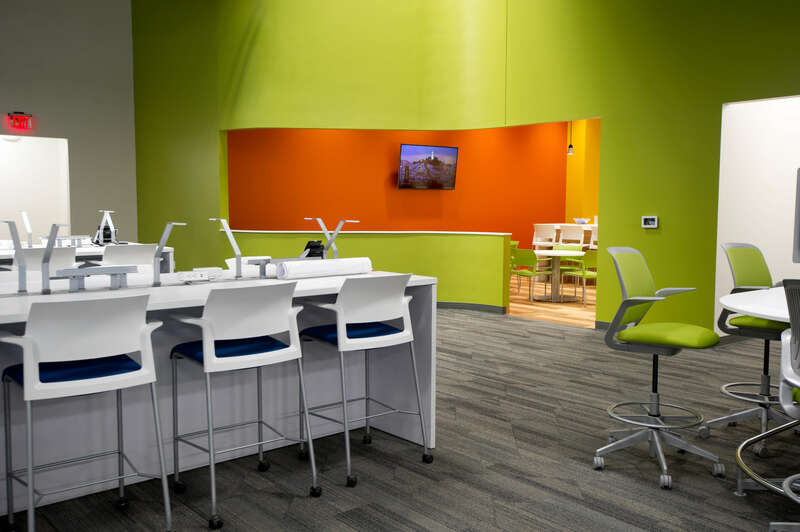 With company headquarters in China, Midea built a new research center in Louisville, KY to house North American operations. 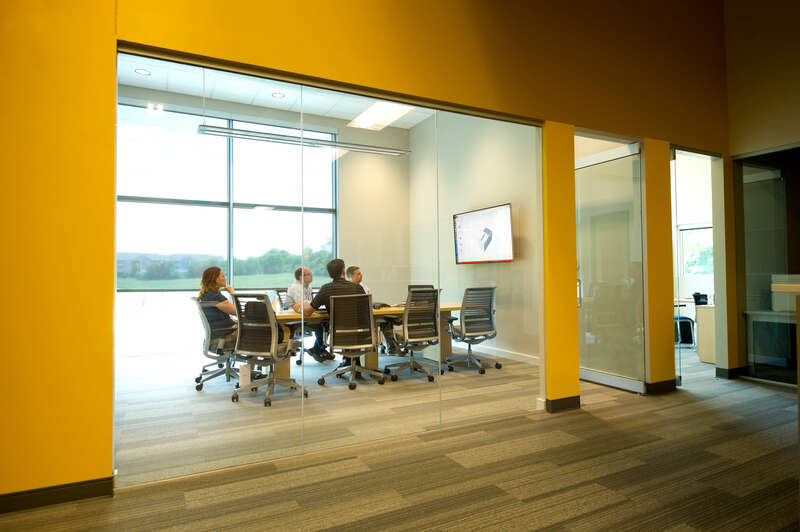 Midea chose Trinity Video Communications to engineer and install numerous video collaboration solutions throughout the new building, including an assortment of monitors—ranging in size from 60” to 90”—in conference rooms, executive offices, and a media lounge. 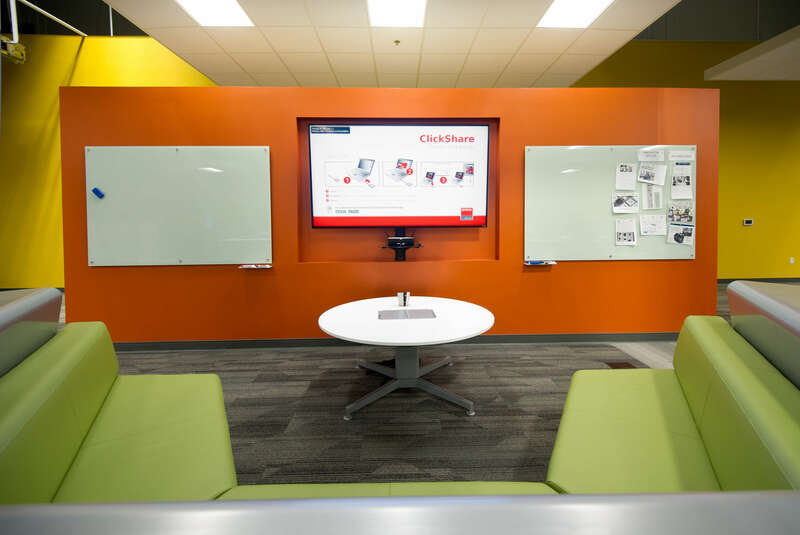 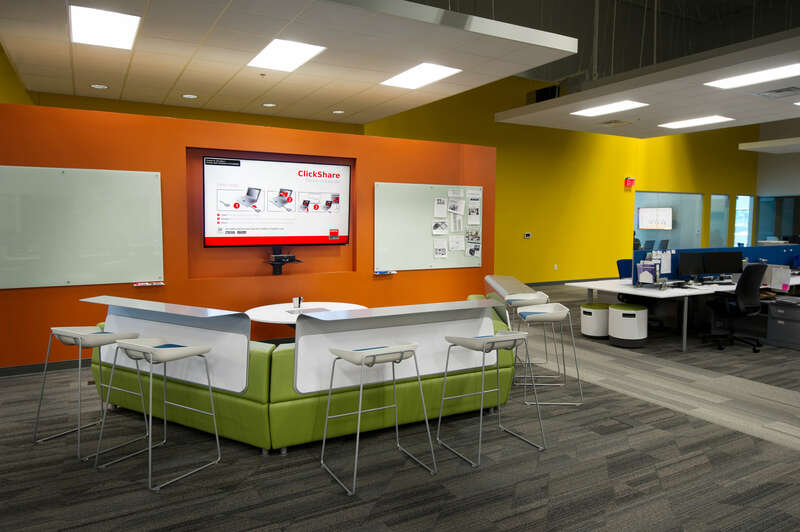 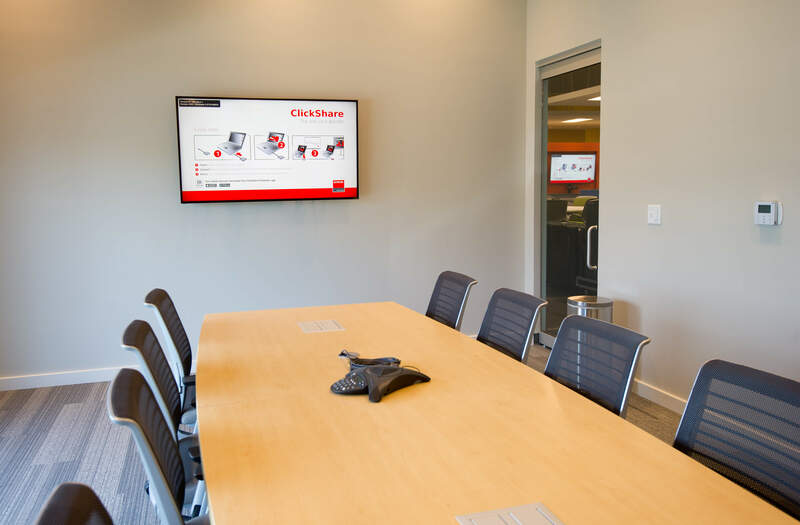 Other requirements included Extron ceiling grid wide distribution speakers and amplifier for audio support, table microphones, Bring Your Own Device (BYOD) compatibility with Barco ClickShare USB buttons, a Point/Tilt/Zoom (PTZ) camera, and Polycom Codec.